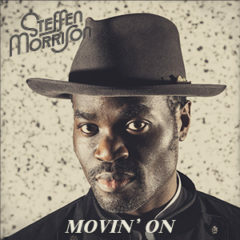 Today Steffen Morrison releases his new single Movin’ On. The uptempo soul song is the title track of his new album. Movin’ On is about falling down, getting up and trying again. “When i started writing Movin’ On I found my inspiration in Curtis Mayfield’s People Get Ready because of its hopeful message and vibe. I think a lot of people can relate to this song” explains Steffen. Movin’ On is now available on all streaming and download services. At this moment Steffen Morrison and his Band of Brothers are in the middle of an extensive festival tour. Check out their full schedule below.